This might be the Beyonce story of the year. 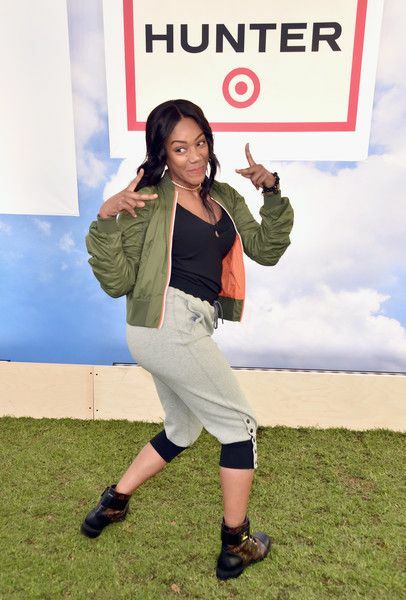 Tiffany Haddish, above attending the Hunter for Target Ultimate Family Festival at Brookside Golf Club, is definitely the Queen of storytelling (remember that Groupon/Will& Jada Pinkett Smith story? 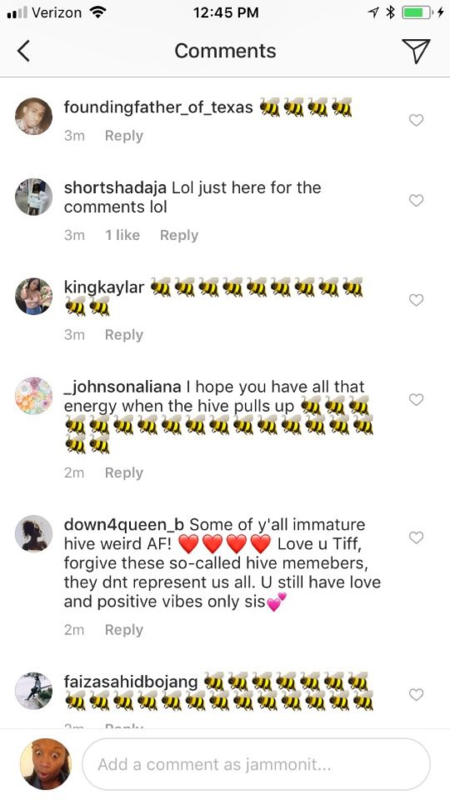 ), but you would think after Beyonce supposedly called her out on “Top Off” about signing non-disclosure agreements to hang with her Tiffany would hold back on sharing stories about the Queen. That’s not the case and we can’t say we’re mad about it because y’all know we live for a good Beyonce story. The Girls Trip breakout star finally reveals everything that went down before and after that selfie she snapped with Bey at a party back in December in a new interview with GQ magazine. Around the time the picture started making its rounds on our timelines, Tiffany was telling folks the “On The Run” singer had stopped her from getting into a fight. We had no idea she was FOREAL. Apparently, an actress – who she would not name – was busy doing the MOST at the party and some how she ended up BITING (yes, biting) Beyonce’s face, this according to Tiffany. Lord, where the hell was Julian?! According to Haddish, she and the actress continued to cross paths throughout the night, culminating in a brief standoff. The actress, at one point, told Haddish to stop dancing, which—good luck making that happen. SPILL THE TEA CHRISSY! Inquiring minds want to know. Fellow comedian Mo’Nique caused some controversy when she sent out a video requesting everyone boycott Netflix for “gender and color bias.” Does the Groupon spokeswoman agree with Mo’s movement? With her new found fame, one would think Tiffany would have adopted some extreme health care regimen to stay healthy. But, Tiff rocks to the beat of her drum and that includes what she ingests to keep her body in tip top shape. I didn't think humans could consume turpentine. Per Haddish, in the absence of 19th-century medical care, slaves drank turpentine—an oil distilled from pine resin, today commonly used as a paint thinner—as a cure-all for various ailments. When I note that slaves were not known for their excellent health, Haddish flips my argument into evidence: That's because not all the slaves had access to turpentine. “There's worms inside your body,” says Haddish. Haddish explains that she learned about the alleged medical benefits of turpentine on YouTube and purchased some on Amazon a few months ago. After her first dose, she says, “everything just felt so much better, clarity-wise.” You were light-headed from drinking poison. Be sure to tune in to "The Last O.G." to see Tiffany Haddish star opposite Tracy Morgan when it premieres April 3rd at 10:30pm EST on TBS. PREVIOUS: Chance The Rapper Is Sick Of The ‘Terribly Racist’ Commercials, So He Calls Out Heineken On Their BS, But Should He?